Save the date! 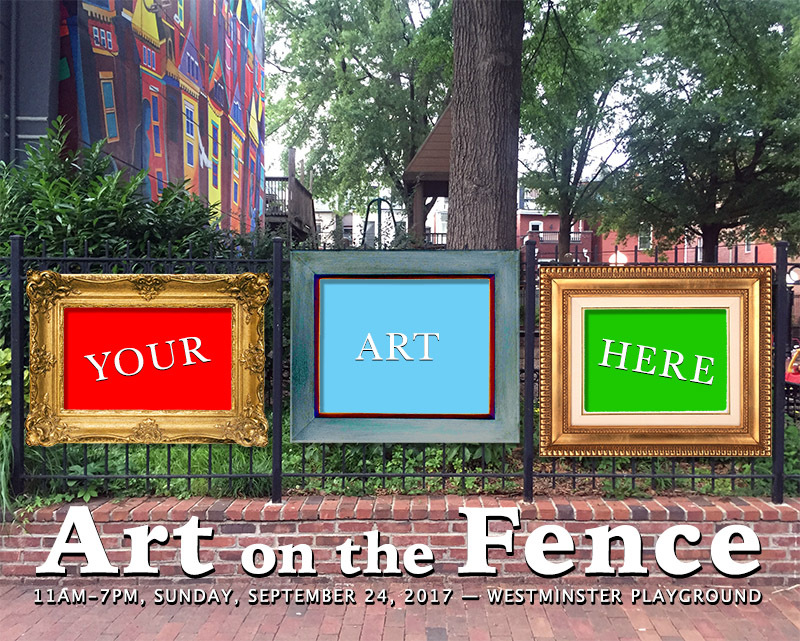 You are invited attend the Westminster Neighborhood Association’s Art on the Fence taking place on Sunday, September 24, 2017 from 11am to 7pm outside the Westminster Neighborhood Playground! See you at Art on the Fence!